The icon showing the number of products has been added to the Pipeline view. 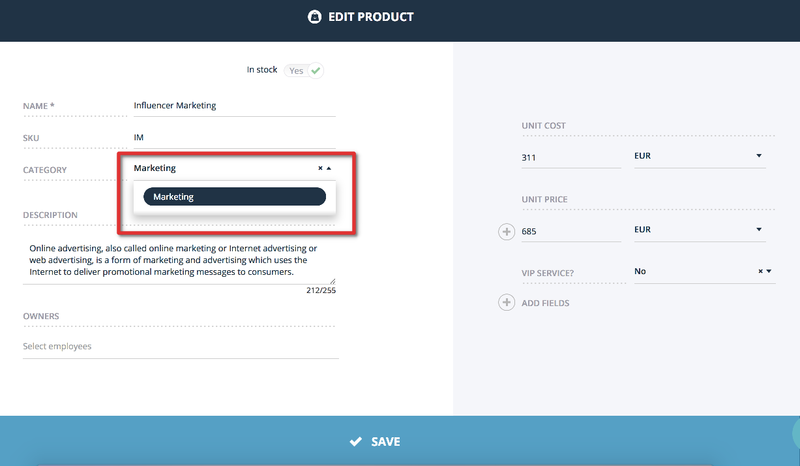 This new feature allows seeing what kind of products are added to the deal with a single click. See the example. All products may be grouped into categories, for example, "Marketing services", "Development services", "Product Training" etc. Products can be filtered, imported, exported according to categories. 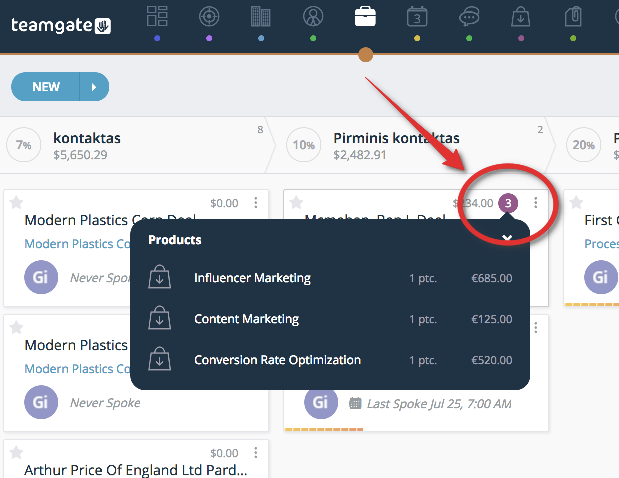 Analytics by-categories have been launched as well. Products may be assigned to particular users as owners. When the user owns particular products they will show up in the drop-down menu when assigning products to a deal. As well as, new analytics have been launched. Office365 and Teamgate calendars' synchronization has been launched.